Extremely honored to be voted Best of the Bay “Best Ramen”. The crazy thing about it is that we know food is extremely subjective and there are so many awesome food choices you guys can choose from so Arigato. "What makes a great food city or region? 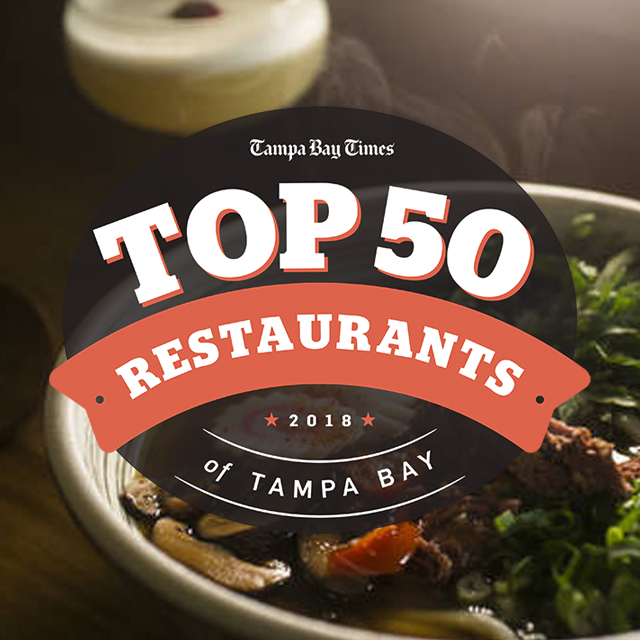 It’s food at every price point that is fearless and fresh..."
We're so excited that in just a short period of time our new location Ichicoro ANE @ Station House made the Tampa Bay Times list with so much talent! Now Open in Tampa, FL! Come see the beautiful new Armature Works building and visit our newest Ichicoro Imoto location in the Heights Public Market. We'll be here serving some of our signature dishes for lunch and dinner 7 days a week! One of our new Brunchuru items available at Ichicoro Ane every Saturday & Sunday, 11am–4pm. Reservations are now open, walk-ins always welcome.